This is the Area where you can find many PES (Pro Evolution Soccer) faces of edition 6 and 14. 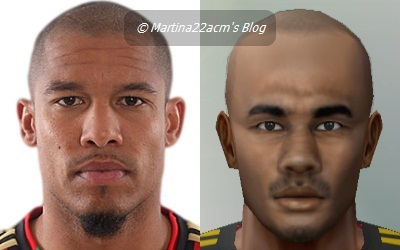 It’s purpose is only for Milan players, but the admin will accept every request for any other team’s player – later posted at PES 6/14 Faces Requests. If you are interested in requesting an appearance, all you have to do is write your name, player’s name and current club in the page comment box. The requested face will be posted shortly after the request. The appearances match PES 6 and 14. 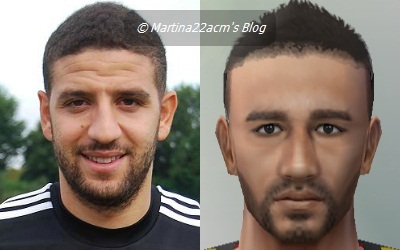 Players’ real pictures refer to their face, except their hair. To see their actual haircut visit AC Milan Squad page. mozes li napravit dzeku ako nije problem ? Hvala na zahtev i ostanite povezani! Hey 🙂 Ma ne brini, imala sam malo problema sa netom ali sada sve je dobro. Face je vec objavena – https://martina22acm.wordpress.com/pes-612-faces-requests/. Sta mislis, jeli dobra ili? Jel treba nesto drugo – ako treba slobodno reci. Will be on in the following days 🙂 Thanks for the request. Stay connected to see your request fulfilled. What about Petanga and Cristante? Do you only make faces for the most beautiful team of them all, Milan or is it possible to request faces for players of other teams? 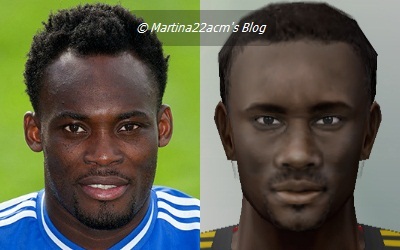 Well, I have already done Petagna’s face, and I was about to do Cristante’s, as well. For some reasons I must have forgotten to publish it.. This page’s purpose is only for Milan, however take a look at the requested face if you don’t mind – https://martina22acm.wordpress.com/pes-612-faces-requests/. You can find Petagna’s face over there. I probably should move it in here now that he’s into Milan’s first squad. Договорено 🙂 За тоа дефинитивно се сложувам, само не дошло време за подетално да го “прочепкам”. Done that, Andi. 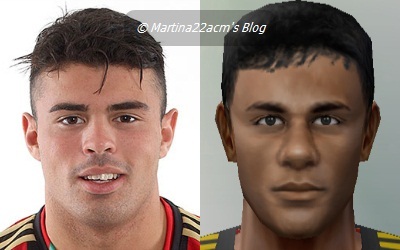 You can preview the faces at page “Milan PES 6/13 Faces” – https://martina22acm.wordpress.com/milan-pes-613-faces/ below the “Milan Primavera/Loaned players” tag. You can create Milos Krasic, Marco Motta, Linus Hallenius and Nilmar? Sorry for asking a lot, but I’m really impressed with your gift. Thank you! Michelangelo Albertazzi – Hellas Verona on loan from Milan, please dear Martina. I’d like to deeply apologize, Conradi for my recent inactivity and inability to reply. Your request has been written and is on the line. And about the players that will return by loan ? can you show me barcalona player face making. I can’t seem to make out if you’re interested in seeing the PES faces of Barcelona’s players, or perhaps you’re asking me to explain you the process of face-making. 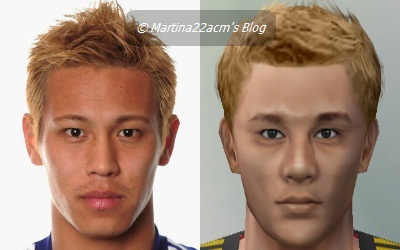 His and Honda’s face will be posted during January, you will be notified about that. 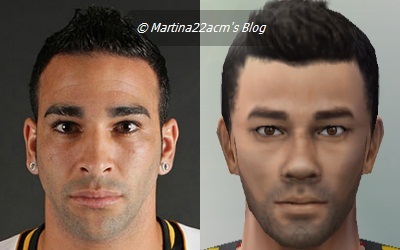 Cool Adil Rami fix, Thanks Martina. Do you know when you will be able to update your other player face requests? If so i would love Adam Lallana, Rickie Lambert, Lucas Biglia and Max Kruse.